The State Bar of Texas Bankruptcy Law Section, in partnership with the Consumer Information Foundation, Inc., presents MoneyWise, an opportunity for students to interact with a bankruptcy attorney or judge, and learn the benefits of keeping a budget, setting financial goals, and preparing for the future. MoneyWise is a comprehensive financial education program targeted to high school students, provided at no charge to the school or the students. The program is presented by a lawyer from your community, and is 45 minutes to an hour in length – the perfect fit for a class period. 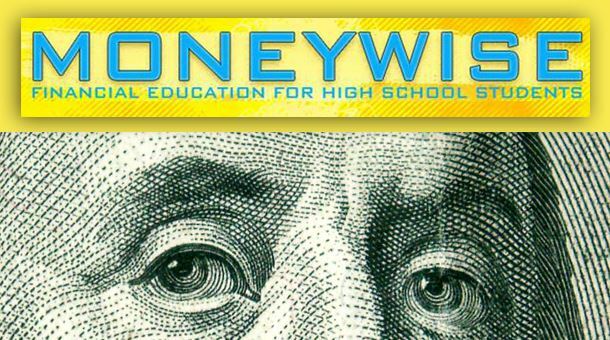 MoneyWise includes a Flashpoint© presentation with corresponding handouts, and encourages students to explore real-life scenarios involving budgets, college expenses, and planning for the future. MoneyWise is approved by the Texas Education Agency as satisfying the personal financial literacy requirement for graduation as well.